Here is the Karbonn K22+ SPD SC6531 flash file download here. The phone has Spreadtrum SC6531 CPU and the size of the flash file is 4MB. 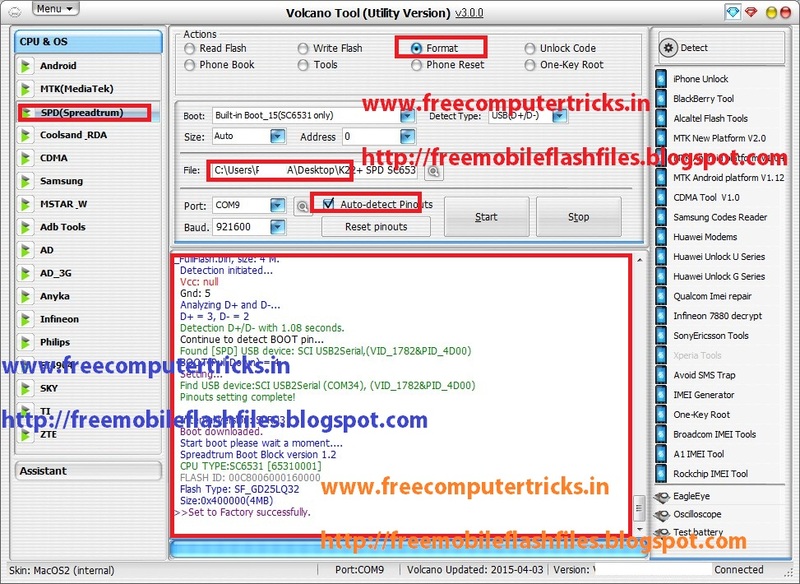 The flash file is read with Volcano Tool and this can be use on any china flash tool which support .bin file flashing. The below is the download link for the Karbonn K22plus flash file, download and flash the faulty phone. 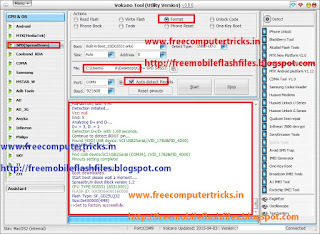 Note: Karbonn K22+ has the SPD SC6531 CPU, so first read flash then select the flash file then format the phone, otherwise the phone may dead.